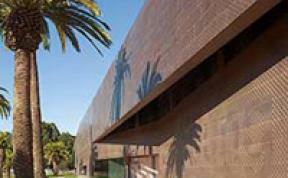 Located within Golden Gate Park is the de Young Museum. Founded in 1895, the museum has been a part of the city for over 100 years. Around the outside of the newly-renovated building is a public sculpture garden and various landscape design elements that invite visitors to wander out into the sunshine. De Young is one of the most visited museums in the world, but it has enough capacity to keep you from bumping elbows. Exhibits here are as diverse as the city around them, ranging from studies of fashion to comprehensive collections from history's great artists.